Rockstock Productions a film production company TV commercials, music video clips, documentaries, short movies, corporate promo videos and aerial videos. Rockstock Productions is an independent film production company founded by producer Jeroen Frech (Netherlands) and Nina Frech (Montenegro). 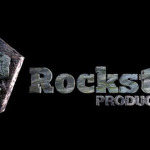 Rockstock Productions focus is the production of feature films. Additionally we use our experience to make TV commercials, music video clips, documentaries, short movies, corporate promotional videos and aerial videos and images. Part of our portfolio is formed by our recent work with `McCann`, which is one the leading advertising agencies in the world. McCann represents the top brands such as Coca Cola, American Express and General Motors,to name just a few. Rockstock Productions offer a complete creative production solution supported by a team of highly skilled professionals. The production team offers a fully inclusive service. We tailor our projects to the needs of our clients and ensure a great experience from the conception to the completion of each project. Rockstock Productions recently completed (May 2013) a short film production `Eqvilibrium Vitae. The trailer can be viewed via our Vimeo account. Our company created the promotional video for the Southern Soul Festival that was held in June 2013 at the Copacabana Beach, Ulcinj, Montenegro. The promotional video can be viewed on our website under Music Videos. Rockstock Productions is currently in the post-production of the short film, ‘Reflection’. This is due to be completed in March 2014. The short film was filmed with Montenegrin, Croatian, Bosnian and Serbian film crew in Montenegro. The film features a sniper who cannot get out of his criminal circles without suffering the consequences. We are currently developing a feature film called `Kotroban`. It will star a cast of highly talented Montenegrin and Italian actors. The film tells a forbidden love story between a Italian officer and a Montenegrin Girl during the II World War, in light of the Montenegro – Italy Tabaco smuggle. Additionally, Rockstock Productions is at negotiation stage with several clients for video projects, corporate promotional videos and aerial footage. In summary, Rockstock Productions is a creative, dynamic, competitive, internationally orientated and flexible production company that can produce all types of film projects at any desired location. With offices in Amsterdam (The Netherlands), Tivat & Cetinje (Montenegro) we can offer the following services.